A photograph shows Donald Trump and Vladimir Putin on a billboard above the words "Let's make the world great again — together." 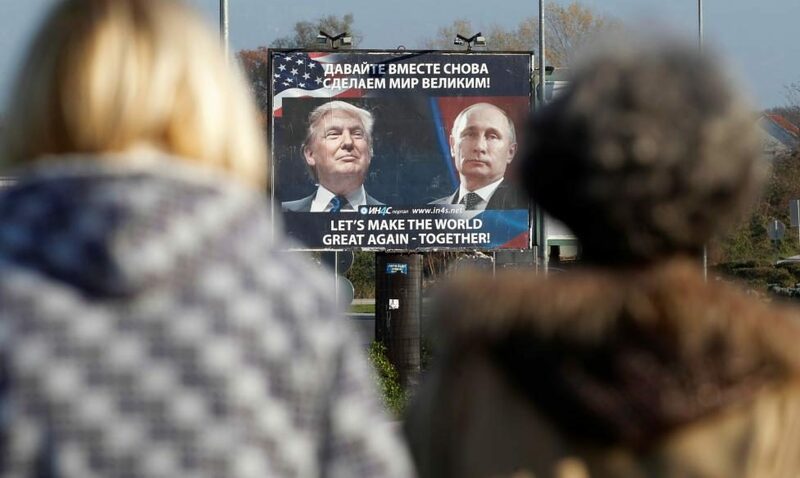 Cars pass by a billboard showing US President-elect Donald Trump and Russian President Vladimir Putin placed by pro-Serbian movement in the town of Danilovgrad on November 16, 2016. The demonstration was organized [by] Artyom Mainas, a 27-year-old blogger in Obninsk, a nuclear-research center 60 miles south of Moscow. He decided to act after seeing news from the United States about demonstrations against Trump’s election. “I believe it is very important to support him here in Russia,” said Mainas. 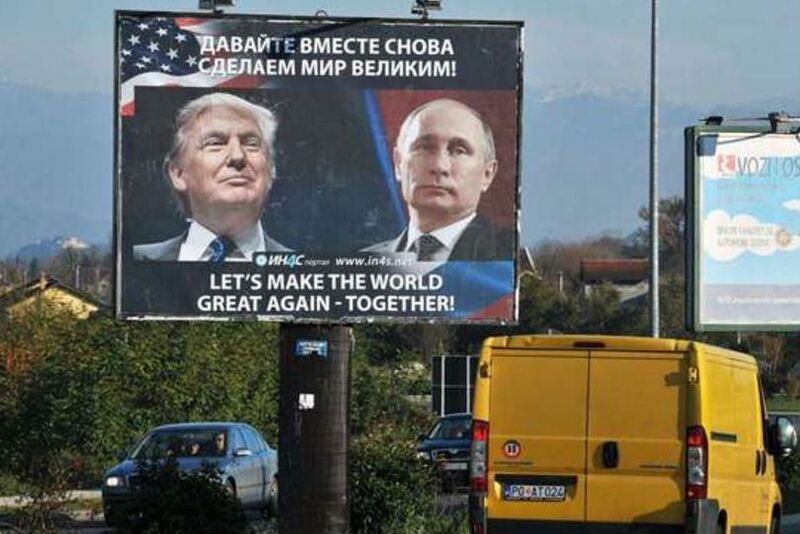 However, while the billboard is genuine, it is not in Russia (as might be inferred from its use illustrating a story about Russia’s support of Trump), but in the Balkan country of Montenegro. Washington Post. 18 November 2016.